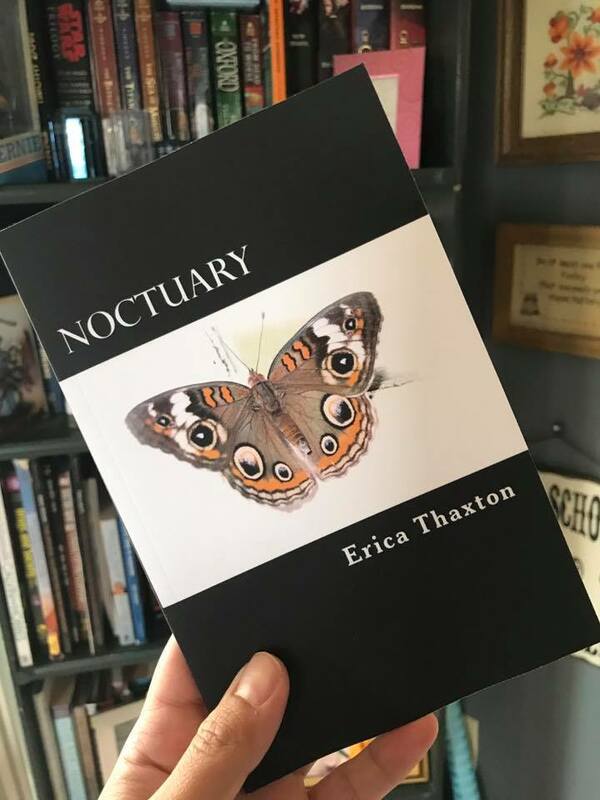 Eeka Cupcake: Noctuary - Published! I finally did a thing! Ha, ha! I'm not sure if I have mentioned it here on the Blog, but I have been writing a couple books now for what seems like forever. This little collection was put together in a matter of days because I already had the poems in hand and I thought, why not? Why not publish my insides for all to see? Anyway, yes this a small little collection of some poems and diary entries spanning over a decade. It's very difficult for me to share any of my work for many reasons, one of them being vulnerability. I wrote some of these in my darkest times, when I felt alone and trapped in my own mind. Never in my wildest dreams would I ever think they would be available on Amazon and Kindle to Purchase [insert uncontrollable introvert laughter here] but I did it and I'm super proud of myself. The kindle version has had a lot of downloads since I published it, which was pretty surprising for me. As far as the name of the book, I thought Noctuary was appropriate since I do all my writing at night. The Websters definition of Noctuary is: a journal of nocturnal incidents or a journal of what happens in the night. I know other authors have used this word relating to horror fiction, but if I'm being completely honest with myself, these poems were written at night when I was most vulnerable, some even after I had nightmares/night terrors, some with tears streaming down my face. Writing helps ease my anxiety and panic attacks, it always has. These are a sum of my thoughts during those periods when I needed someone to just listen. My other work is well on it's way too. I'm also planning on publishing another book of poetry that will also have art included. This one will probably have about 200 poems, but that's not written in stone yet, no pun intended...well maybe slightly intended. The manuscript for my sci-fi book is still underway...and I totally feel like I'm going to be pulling a Tolkien on this one. I do want to take my time and make sure it's perfect, hopefully without plot holes and such. I will also be submitting this professionally through to publishers. Which I know will be an interesting journey! I'm already prepared for rejections, but I refuse to give up on my dreams. I hope everyone has enjoyed the warmer weather that we have had in the States! I know we have! I can't wait to go swimming, and kayaking, and paddle boarding! Hello! I'm Eeka, and this is my little corner of the internet. I'm a 30 something mom, foodie, photographer, writer, and huge Star Wars nerd. Thanks for visiting! Visit Live's profile on Pinterest. Cute Poop Emoji Cupcakes...Gluten Free! Thanks For Visiting! All Rights Reserved. Photos and text on this blog are property of Eeka Thaxton/Live Love Random unless otherwise noted.Live Love Random is a for profit blog and we participate in a number affiliate programs meaning, at no additional cost to you, I will earn a commission if you choose to make a purchase through one of those links. I also receive products free of charge to review and write sponsored posts. I also host giveaway posts which will be labeled accordingly. Thank for you so much for your support!